Motorola is soon expected to announce the Moto G7 lineup of smartphones. 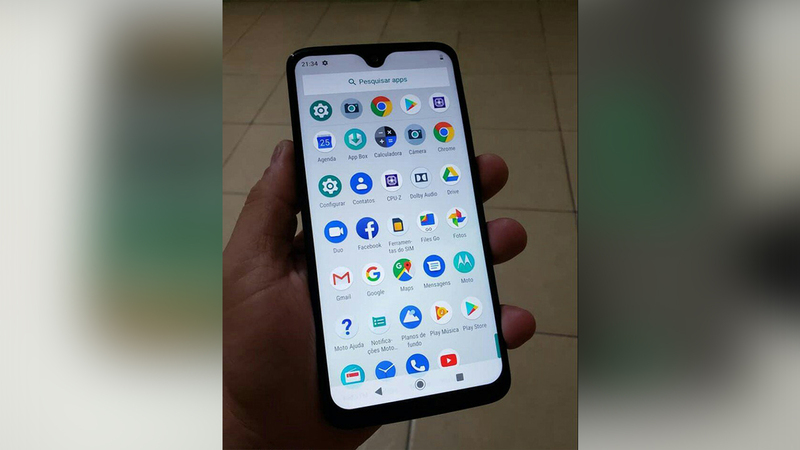 Several sources claim that the company will be launching four new devices which include the standard Moto G7, Moto G7 Power, Moto G7 Plus and Moto G7 Play. 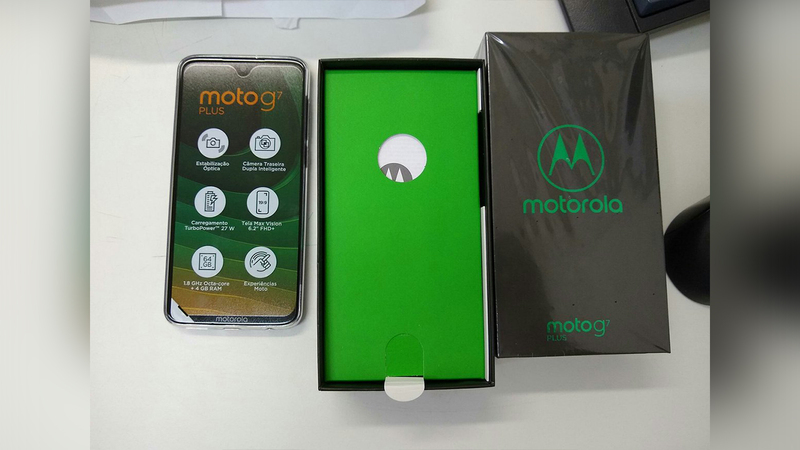 Freshly leaked unboxing pictures of the Moto G7 Plus reveals its design details and key specifications. 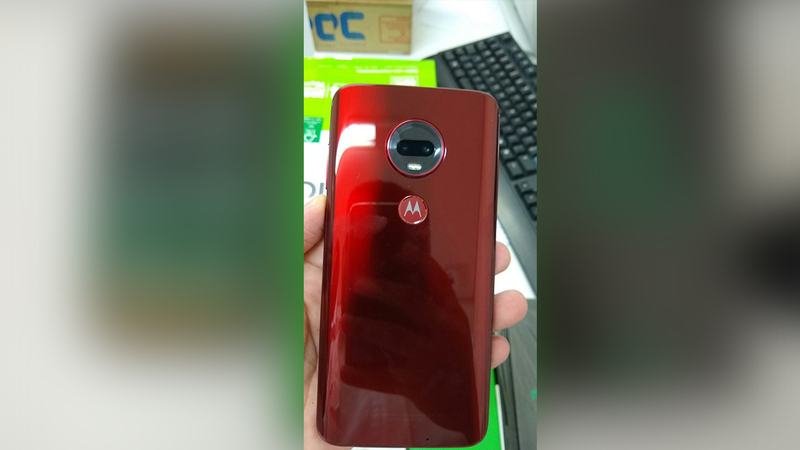 The unboxing images of the Moto G7 Plus confirm that the device indeed looks like its previously leaked renders. 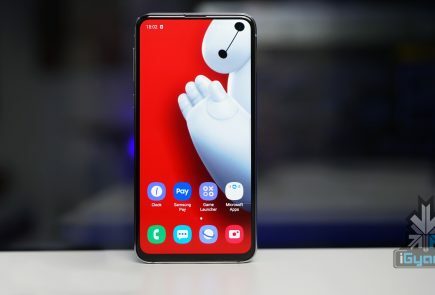 The smartphone has a 6.2-inch display with FHD+ resolution and a small dewdrop notch up top. 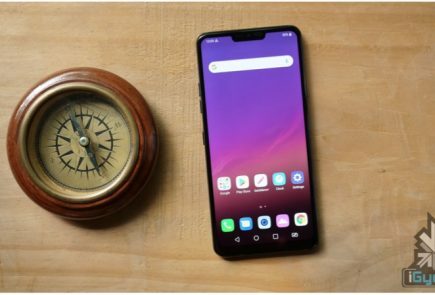 The display panel has an 18:9 aspect ratio which Moto is referring to as ‘Tele Max Vision’. The rear panel of the Moto G7 Plus is made out of glass that gives it an elegant and premium look. 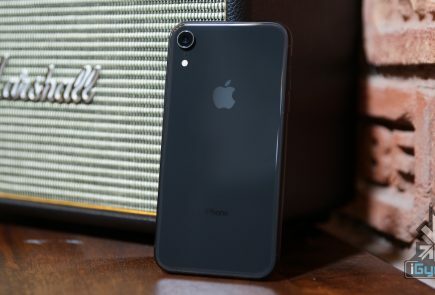 The rear of the device accommodates a fingerprint sensor and a horizontally mounted dual camera setup. The live image reveals that the smartphone packs an Octa-Core processor which is clocked at 1.8 GHz which is likely to be the Snapdragon 660 according to a previous Geekbench listing. 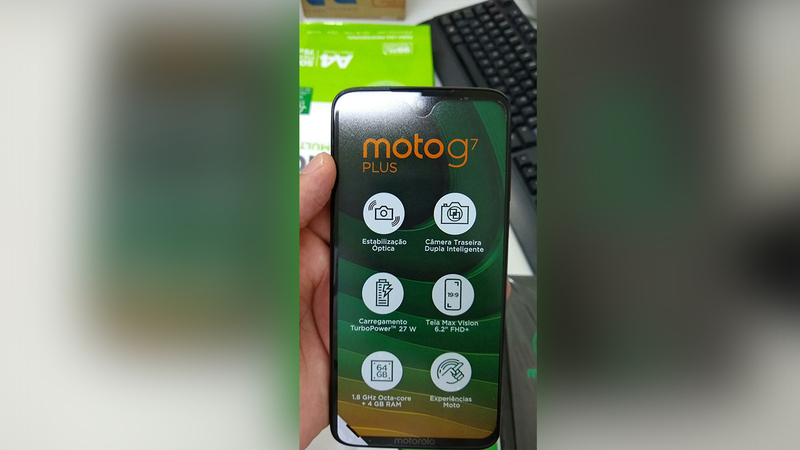 The leaked unboxing photos of the Moto G7 Plus exhibit that it supports OIS (Optical Image Stabilisation) which will help in shooting better images. Surprisingly the smartphone supports 27 W fast charging which is a remarkable feature. 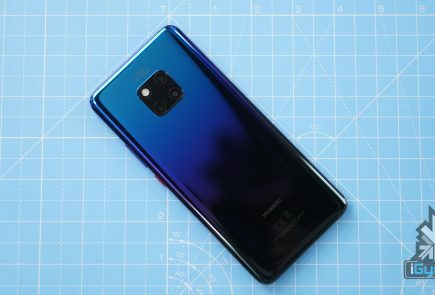 Even flagship devices like the OnePlus 6T and Honor View20 also support only 20 W fast charging. 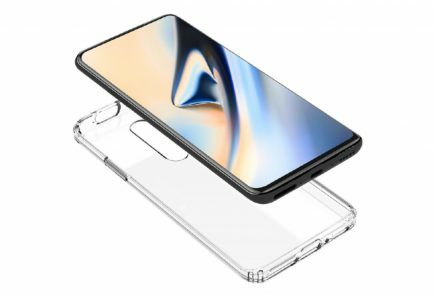 The leaked device has 64 GB of ROM and 4 GB of RAM. Motorola is also expected to launch the smartphone with other storage variants. 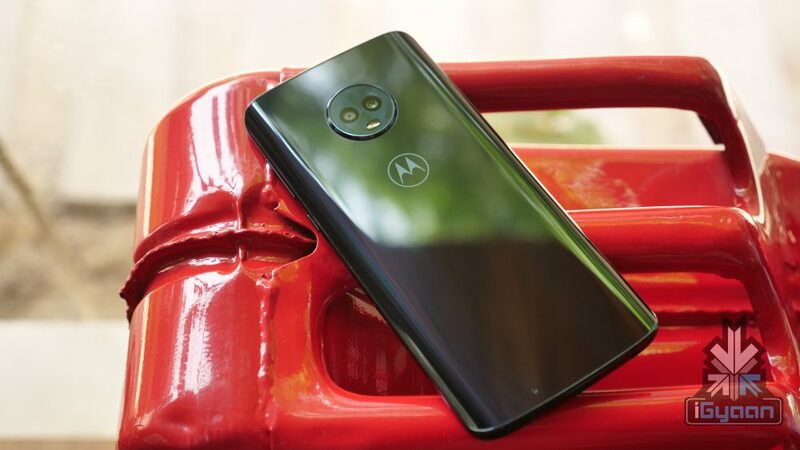 Motorola has not announced the launch date of the Moto G7 smartphones but reports claim that the device will be launched on 7 February in Brazil. Also, the leaked device reads the specifications in the Spanish language. Therefore the possibility of this claim is quite high. Fortunately, we won’t have to wait for long as the assumed launch date is approaching fast.